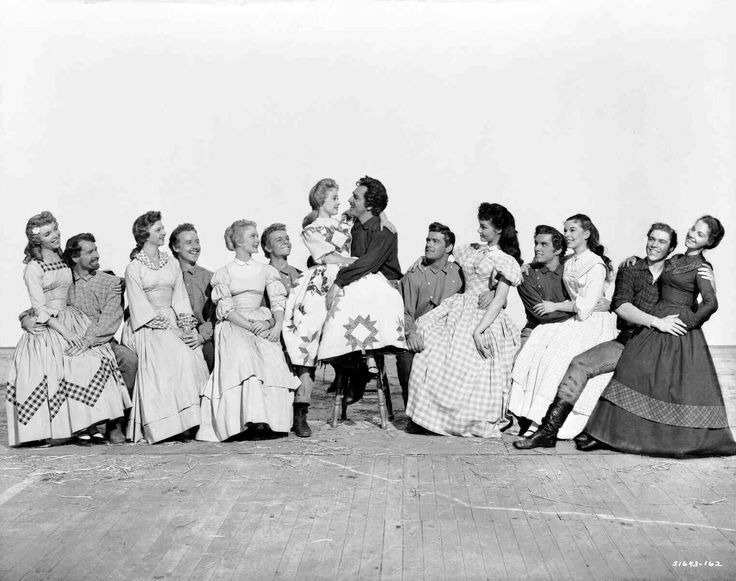 Seven Brides for Seven Brothers (1954) is one of the classic movies airing on TCM this week. This week, TCM is airing great movies from stars like Olivia de Havilland, Nelson Eddy, and Lena Horne. Plus, they are featuring films adapted from the plays of William Shakespeare and Broadway musicals. So, without further ado, let's jump right in to this week's offerings. Just a note: the highlighted text has links to full length articles. Birthday tributes: Nelson Eddy on Wednesday daytime; Lena Horne on Thursday daytime; Leslie Caron on Friday daytime, and Olivia de Havilland on Friday prime time. Sunday Prime Time: A celebration of director Stanley Kubrick with four of his best films. Best Day to DVR: Saturday night. Begin your Fourth of July celebration a little early with the sensational MGM musical compilation film That's Entertainment (1974) followed by two great MGM musicals Seven Brides for Seven Brothers and On the Town (1949). This is a great week for . 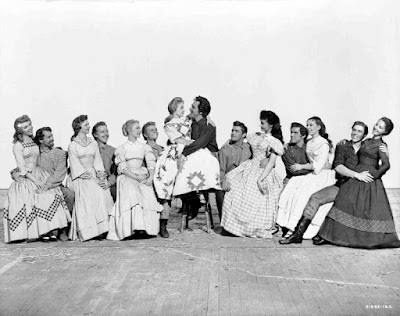 . .: the Minnelli family. 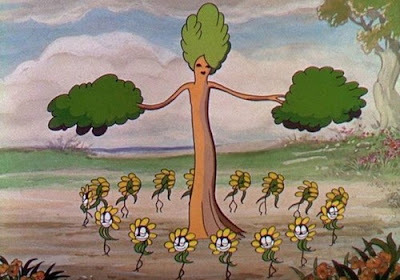 You've got director Vincente Minnelli's well-made Southern drama Home From the Hill on Tuesday daytime, two of his musicals with Lena Horne on Thursday daytime, and several musical numbers from his movies are featured in That's Entertainment. Plus, Liza's iconic performance in Cabaret is on Thursday prime time. Charlton Heston as Judah Ben-Hur. 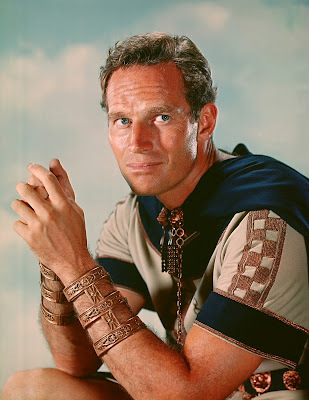 Three daytime picks: The theme is religious epics starting with French director Robert Bresson's drama about a young rural cleric (Claude Laydu), Diary of a Country Priest (1951) at 6 a.m. Charlton Heston plays a Jewish noble who has a life-changing encounter with Christ in Ben-Hur (1959) at 10:30 a.m. Finally, Anthony Quinn plays a Russian archbishop who is unexpectedly elected pope in the Cold War drama, The Shoes of the Fisherman (1968) at 5:15 p.m.
Prime time lineup: TCM will celebrate the career of star of the month Marie Dressler each Monday in June. This week's selections are a supporting performance as a stuffy society matron in the all-star comedy Dinner at Eight (1933) at 8 p.m. followed by her reunion with Min and Bill co-star Wallace Beery in Tugboat Annie (1933) at 10 p.m.
Late night pick: In Emma (1932) at 11:45 p.m. Dressler gives a deeply moving performance as a middle-aged housekeeper who falls in love with her employer (Jean Hersholt). A still from Disney's Flowers and Trees (1932). Three daytime picks: The theme is movies edited by Harold F. Kress. This two-time Academy Award-winning editor worked for 30 years at MGM followed by a successful career as a freelance editor. First up is the musical A Date With Judy (1948) at 6 a.m., which features Elizabeth Taylor in her first "adult" role as a young woman who thinks her grandfather (Wallace Beery) is in love with a fiery singer (Carmen Miranda). The Teahouse of the August Moon (1956) at 11:30 a.m. features one of Marlon Brando's most offbeat performances as a fun-loving Okinawan translator. Finally, Robert Mitchum heads a dysfunctional Texas clan in Home From the Hill (1960) at 5:15 p.m.
Prime time lineup: Film historian and critic Leonard Maltin is once again unearthing treasures from the Disney vault starting with Hayley Mills in a dual performance as twins who are trying to reunite their divorced parents (Brian Keith and Maureen O'Hara) in The Parent Trap (1961) at 8 p.m. followed by three Mickey Mouse shorts at 10:15 p.m.
Late night pick: The Silly Symphonies cartoon Flowers and Trees (1932) at 12:45 a.m. was the first film made using the three-strip Technicolor process. Three daytime picks: A birthday tribute to Nelson Eddy who was born June 29, 1901, in Providence, R.I. Eddy's boyish good looks and soaring baritone voice made he and co-star Jeanette MacDonald two of the most popular stars of the 1930's. 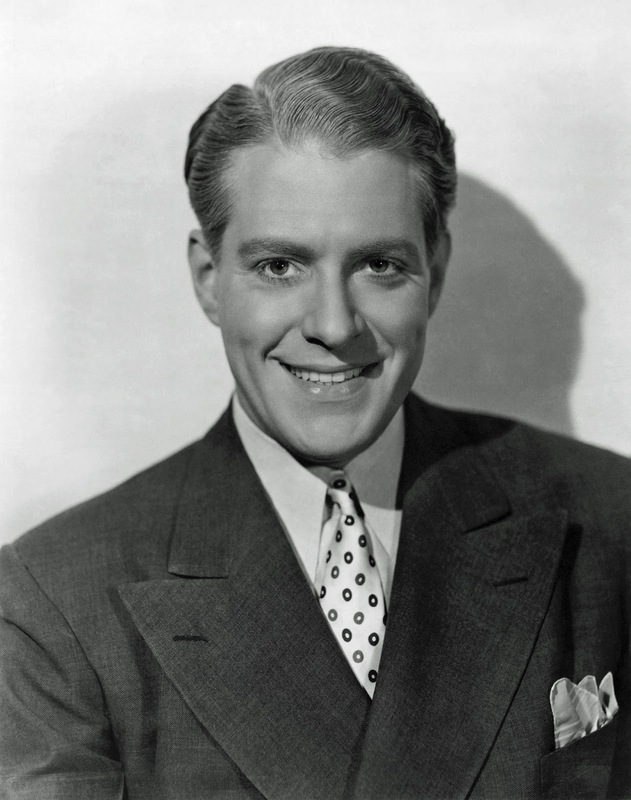 TCM is showing three of the best Eddy-MacDonald operettas starting with their debut Naughty Marietta (1935) at 6 a.m. followed by the "Indian Love Call" filled Rose Marie (1936) at 7:30 a.m. and their best film together, Maytime (1937) at 9:30 p.m.
Prime time lineup: Every Wednesday and Thursday in June, TCM is turning the spotlight onto movies that made the journey from the stage to the screen. Tonight's theme is the plays of William Shakespeare featuring two 1948 films from iconic actor-directors. First up is Orson Welles as the ambitious Scots lord Macbeth at 8 p.m. followed by Laurence Olivier's film noir-inflected Hamlet at 10 p.m.
Late Night Pick: Warner Bros. all-star adaptation of Shakespeare's comedy A Midsummer Night's Dream features James Cagney, Mickey Rooney, and Olivia de Havilland. 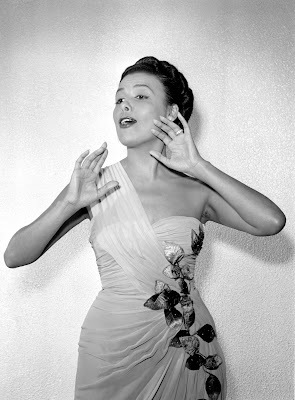 Three daytime picks: A birthday tribute to Lena Horne who was born June 30, 1917, in Brooklyn. She began as a performer in Harlem's legendary Cotton Club, but she quickly moved into radio and then films with her debut in the low-budget musical The Duke Is Tops (1938) at 5 p.m. She eventually caught the eye of MGM talent scouts where she appeared in several successful musicals including Panama Hattie (1942) at 8:30 a.m. and Cabin in the Sky (1943) at 6:15 p.m.
Primetime lineup: TCM continues its spotlight on stage to screen with seventies and eighties Broadway musicals. Cabaret (1972) at 8 p.m. features Liza Minnelli's iconic performance as Berlin nightclub singer Sally Bowles, while the hippie musical Hair (1979) at 10:15 p.m. ushered in "The Age of Aquarius" on Broadway. Late Night Pick: The Broadway smash Annie (1982) at 2:30 a.m. about a plucky orphan (Aileen Quinn) and her pet dog was one of the last stage musicals given a lavish screen adaptation. Three daytime picks: TCM wraps up its spotlight on Broadway musicals with Lucille Ball's version of Mame (1974) at 7:15 a.m. Next is a birthday tribute to Leslie Caron who was born July 1, 1931, in Boulougne-Billancourt, France. Caron began her career as a ballerina, but she got the lead role in An American in Paris (1951) after a pregnant Cyd Charisse had to bow out. This led to an MGM contract where she thrived in musicals. The studio also cast her in dramatic fare like the boxing film Glory Alley (1952) at 9:30 a.m. Caron won a BAFTA and Golden Globe for her performance as a broke single mother in The L-Shaped Room (1962) at 2:30 p.m.
Prime time lineup: TCM is celebrating the centennial of living legend Olivia de Havilland by airing her films each Friday in July. 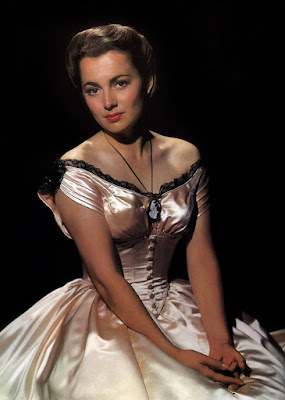 This week's selections feature some of her best thirties movies including the jewel heist movie Raffles (1939) at 8 p.m. and the all-time classic Gone With the Wind (1939) at 9:15 p.m.
Late night pick: The best of de Havilland's films with Errol Flynn is The Adventures of Robin Hood (1938) at 1:15 a.m.
TCM's prime time lineup is all about the American musicals starting with a celebration of MGM musicals in That's Entertainment at 8 p.m., followed by Howard Keel and Jane Powell leading a rough and ready pioneer clan in Seven Brides for Seven Brothers at 10:30 p.m. Finally, Gene Kelly, Frank Sinatra, and Jules Munshin go On the Town at 12:30 a.m. The Sunday Night Feature celebrates director Stanley Kubrick with four of his best films: Beautifully photographed costume drama Barry Lyndon (1975) at 8 p.m.; science fiction masterpiece 2001: A Space Odyssey (1968) at 11:15 p.m.; futuristic horror film A Clockwork Orange (1971) at 2 a.m., and World War I drama Paths of Glory (1958) at 4:30 a.m.